A few years ago, the battery manufacturing plants for LG Chem were going to make Michigan "the world capital for advanced batteries" while helping to "transform our economy." In Holland, Mich., it was said it would "spur further job creation and economic development in the region." A company official said the state help "further validates the viability of our technology and capability." But the predictions never materialized. After a federal investigation, LG Chem is being made to repay $842,000 from a federal stimulus grant after it was discovered employees were paid to watch movies, play games or volunteer at local non-profits, MLive reported. Michigan had offered up to $125 million in refundable state tax credits for the battery cell company in Holland. Tax credits and subsidies for LG Chem were predicted to create hundreds of jobs and hundreds of millions of dollars in new investment. But the company generated more press releases (nine) than battery cells (zero). “Michigan is becoming a world capital for advanced batteries,” former Gov. Jennifer Granholm said. “Investments in clean energy manufacturing such as advanced batteries are creating jobs in Michigan and moving our state and nation to a clean energy economy." “This expansion by one of the world's leaders in battery technology innovation will spur further job creation and economic development in the region,” former Michigan Economic Development Corp. President and CEO Greg Main said. Local officials were bullish, too. "LG Chem-Compact Power could have gone anywhere in the world with this project,” Holland Mayor Kurt Dykstra said. “We in Holland are extremely excited to have this world-class company join our community and be a catalyst for our community’s economic future." Batteries, said state Democrats who supported the massive subsidies, were going to bring Michigan back. In a statement, the MEDC said the state hasn’t given any tax credits yet to LG Chem. 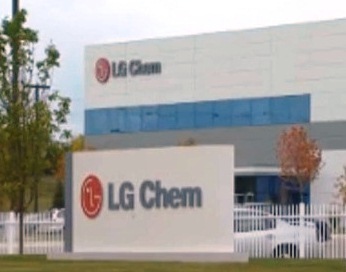 “LG Chem Michigan was awarded cell manufacturing and MEGA tax credits for its Holland battery project. To date, MEDC has not issued any credit certificates for either. In addition, the state approved a Renewable Energy Renaissance Zone in the City of Holland. According to a 2012 Progress Report, the company is close to meeting its capital investment milestone, which is due December 2014. The job creation milestone is due December 2015,” the statement read. James Hohman, assistant director of fiscal policy for the Mackinac Center, said the MEDC that oversees the state tax credit programs isn’t transparent and doesn’t maintain its records on incentives to companies. The most recent report the MEDC gave on LG Chem was in the 2012 annual report from Oct. 19, 2012. It went to state legislators. That only lists jobs created by LG Chem in its Troy plant and only offers that information up to 2009. Hohman said taxpayers have pledged a lot to the project and have yet to see any returns.